Breaking into the music scene is something very few artists can ever achieve. In a business where one-hit wonders fall into the abyss and possessing a natural singing voice brings no guarantee of achievement, it is an industry which favours no newcomer. With all that in mind, the rise of Huddersfield’s own Aidan M is made all that more impressive, as he continues to climb the ladder of success from the heart of Yorkshire. His latest hit, Ishq Tera, received over 250,000 views on YouTube following its September release. The smash hit followed on from his debut single – Waada (Promise), which saw similar viewing figures. Targeting the magical million for his next tune - a guaranteed floor filler called ‘Kurriyay’ - he told the Asian Express what his fans could expect in the future. “Ishq Tera has had a superb response and I want to thank everyone who has listened to it so far,” he said. “The music video was produced by Zeeboi Productionz, who are fantastic. The message was very powerful, telling the story of a man and woman who fall in love with each other yet things don’t go their way. “For my next song, I want to show my fans that I can sing a range of styles and I’m not shy of going down different avenues. It isn’t only the UK’s Asian music scene which the ambitious singer is aiming to conquer with his vocals. Aidan M is also looking to the bright lights of Bollywood for his promising career path. “I like Kumar Sanu and at the moment I’m loving Sonu Nigam. I love the way he expresses his voice - the smoothness of it - and the way he makes his vocals so colourful. He added: “We are trying to get into Bollywood and I’ve actually got a meeting with a Bollywood producer very soon. 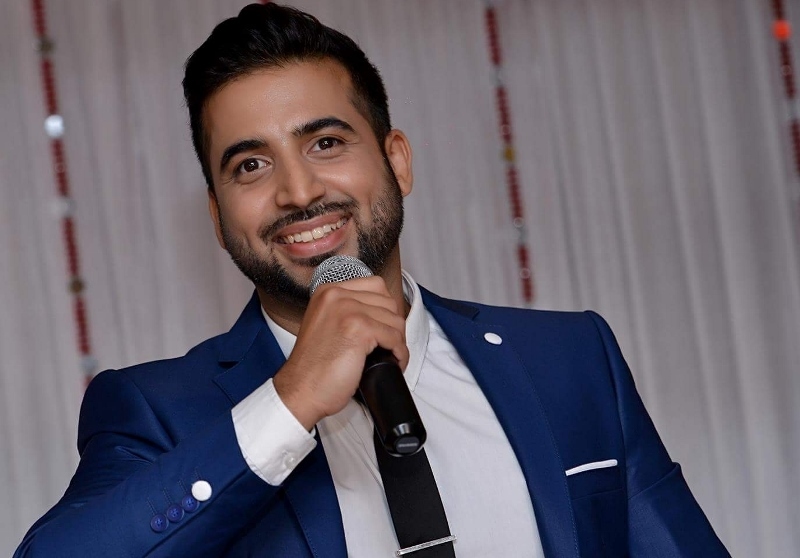 “Being from the UK and singing Punjabi and Urdu in the way I do, people are surprised, but I was brought up with the languages thanks to my parents. Not many Asian singers in the UK ever reach the popularity of Aidan M, especially after just five months on the music scene. He has a growing base of fans, stretching nationwide and even overseas, with both his vocal talent and level of production for his music videos praised by so many. Despite achieving the success he has in such a short time, he remains a humble Yorkshireman at heart, donating profits from his singles to charity and taking life ‘one step at a time’. “I just want to give out that positive message that we can achieve things in our lives and that we need to support each other,” he said.